Maybe it actually only happened once, but in my mind’s eye, my mother had sun tea out on our back deck all the time. I think of her every time we make the tea on Shabbos. No worries about Shabbos laws of first, second or third vessels here–all this refreshing summer drink takes is sun, water and tea bags. Add the mint, fruit and sweetener for even more flavor. Place all ingredients in the warm sun for at least 2 hours. The longer you leave it, the stronger it will taste. Chill in the fridge before serving. 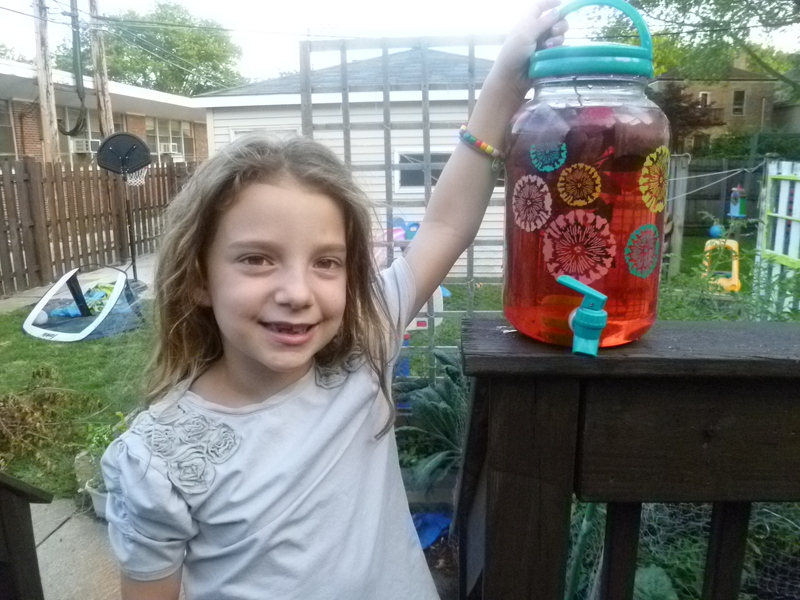 We have also been enjoying sun tea this summer! I end up adding fruit juice to give it that added flavor, but fruit sounds like a better alternative. Do you take out the fruit once the tea comes out of the sun? Also, did you ever try it with fruits outside of lemon and strawberry? If so, what do you recommend?